Bayern Munich are reportedly ready to pay around £10.7million to Liverpool for the transfer of goalkeeper Loris Karius as they eye cover for Manuel Neuer. This is according to a surprise report from Spanish outlet Don Balon, who add that new Bayern manager Niko Kovac is keen on the player and that LFC left-back Alberto Moreno has communicated to Juan Bernat that he’s a better player than he’s given credit for. 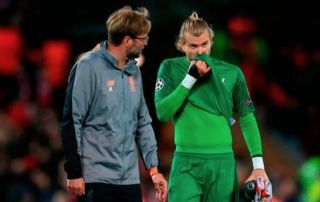 In fairness to Karius, he impressed as he edged Simon Mignolet for the no.1 spot at Anfield last season, playing a key role in the club’s run to the Champions League final. It was in that final against Real Madrid, however, that things went badly wrong as Karius made two huge errors on goals for Karim Benzema and Gareth Bale as Los Blancos won the game 3-1. Liverpool have since signed Alisson from Roma, with the talented Brazil international now surely set to be Jurgen Klopp’s number one. Karius’ future could then be in doubt and Don Balon suggest he could have the surprise opportunity to reignite his career at the Allianz Arena.